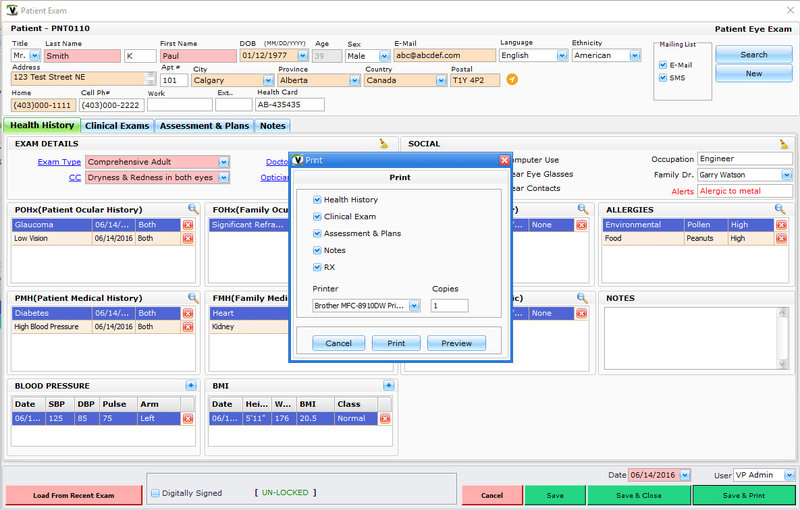 VisionProPOS has a quick exam screen allow the doctor to record basic exam including patient's medical and ocular history, clinical exams, assessment and plan and prescribe medical prescriptions. 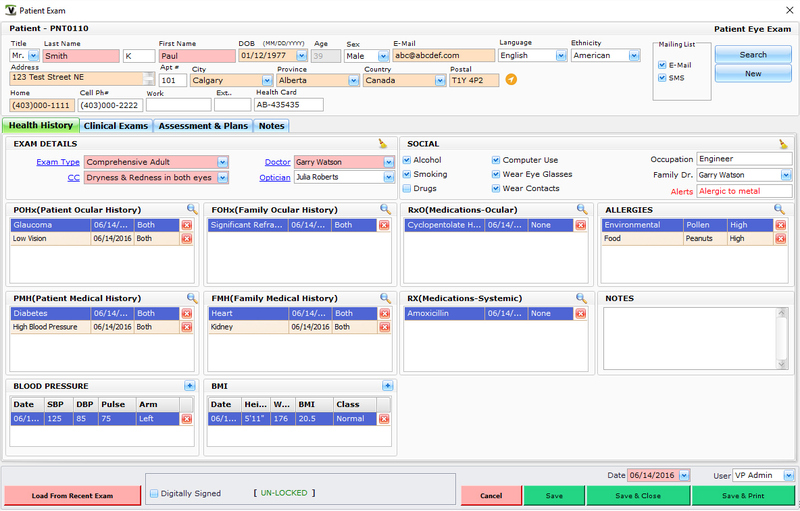 Patient's and family ocular history along with Medications. 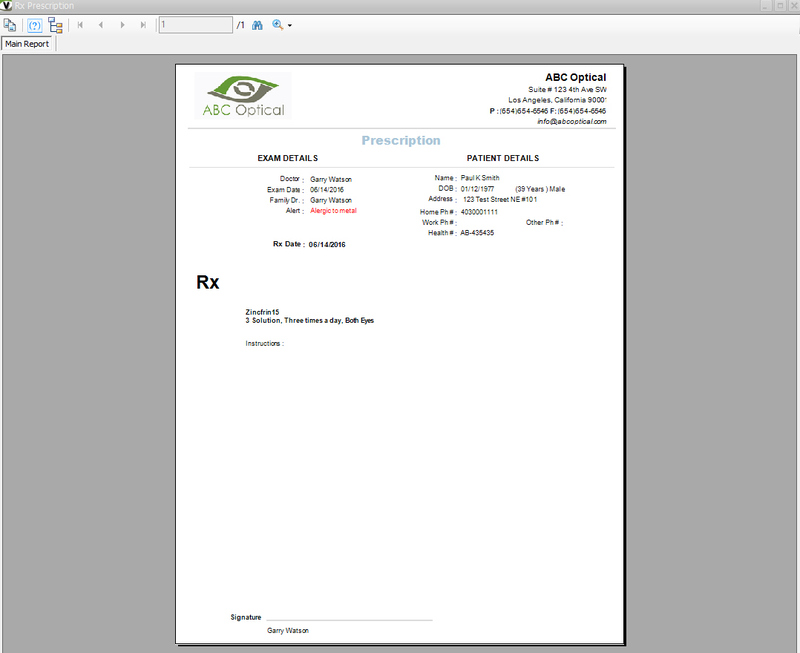 Both Ocular and Systemic. 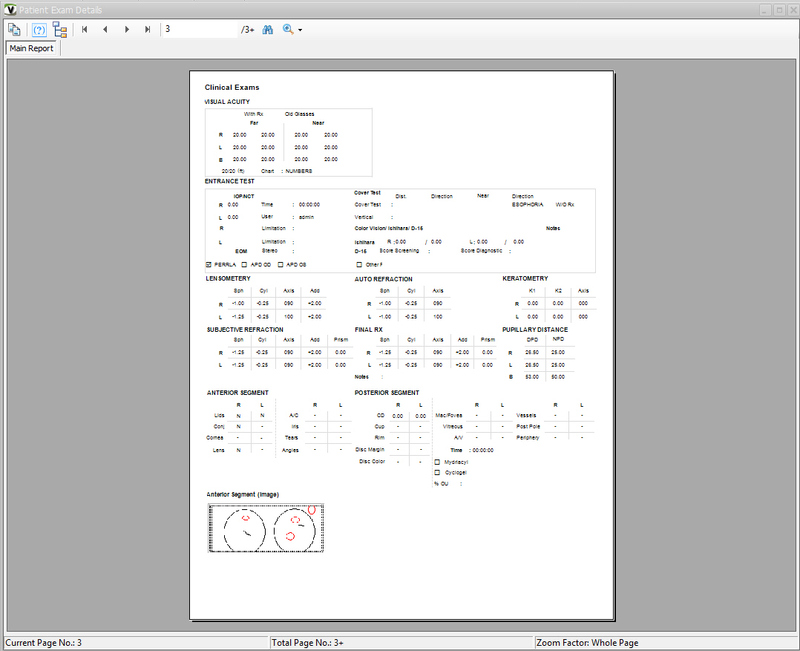 Ability to perform Clinical Exams which include Visual Acuity, Entrance Test and Pupillary Distance. 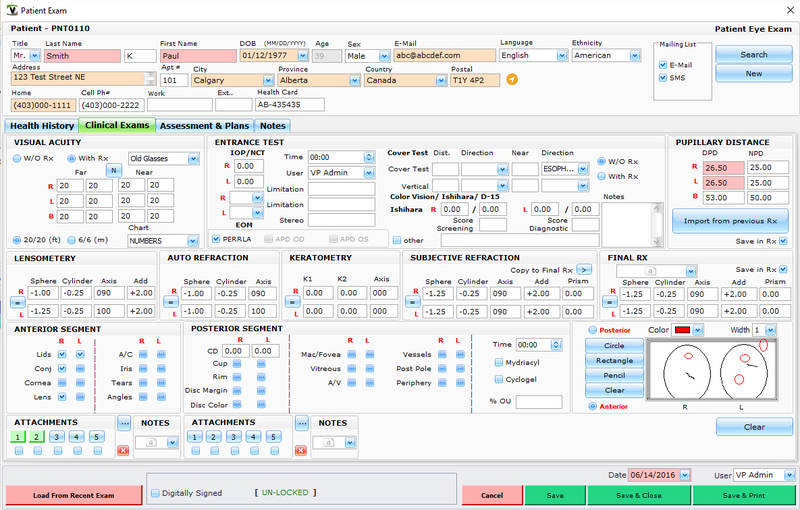 Ability to store values for Lensometry, Auto-refraction, Keratometry, Subjective Refraction, Anterior Segment, Posterior Segment and Final Prescription. 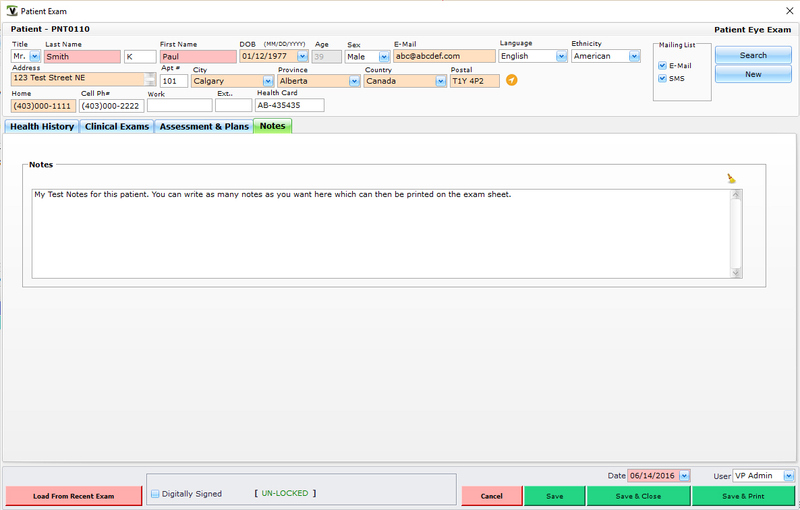 Ability to attach files and notes to the exam. 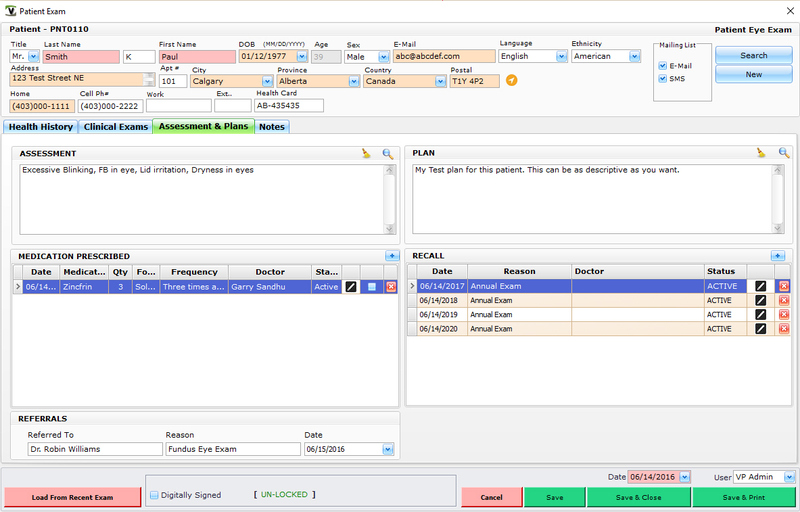 Ability to store Assessment, Plan and prescribe Medication. 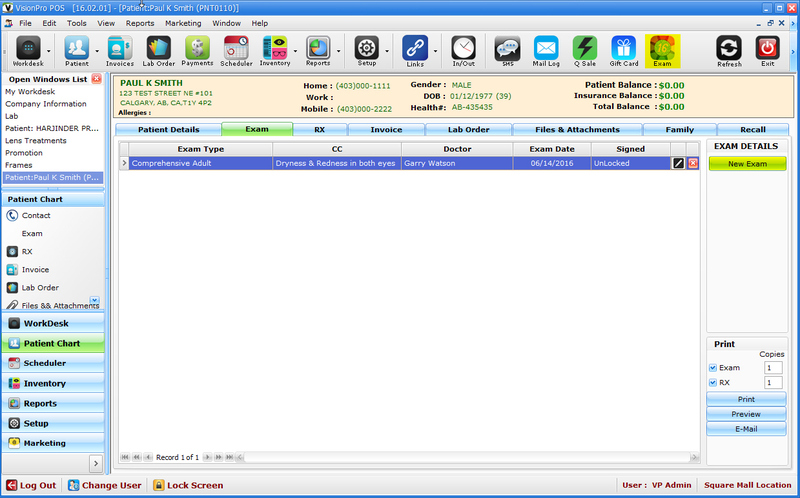 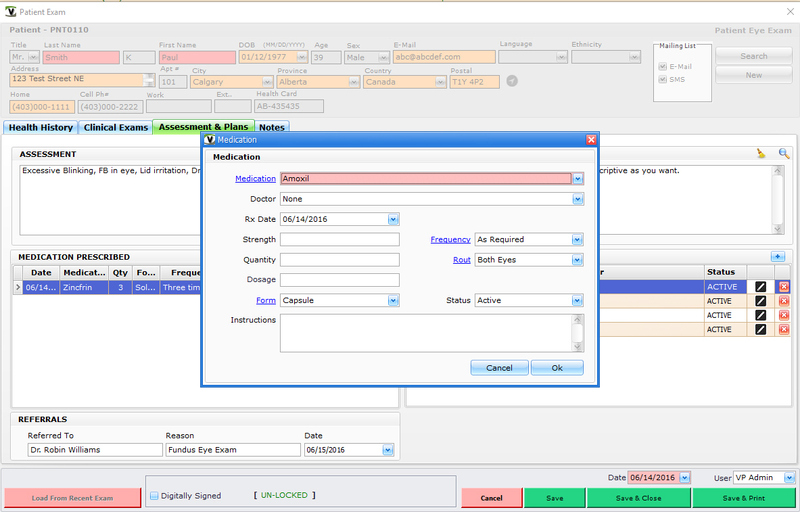 Ability to add Recalls and Referrals. 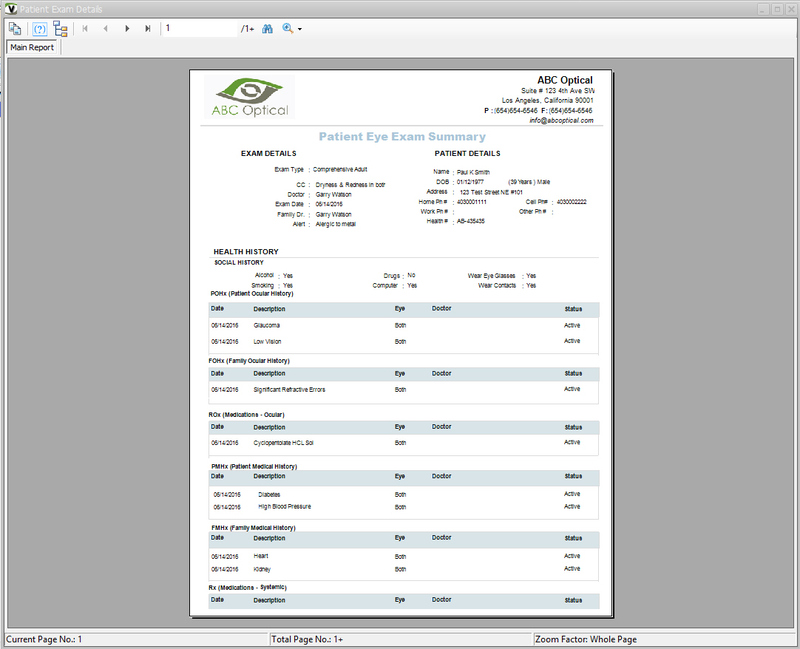 Ability to preview, print and email Eye Exam documents.